Augmented Reality and Virtual Reality is coming to Retail - Don't Miss Out! Each year we hear about the next great technology to arrive and change the way we shop. Augmented Reality and Virtual Reality have both been on the cards for several years (and have already used by big names like Topshop), but are now only just beginning to become a mainstream concept in the eye public with the release of VR headsets for Smartphones this Winter. We’ve seen the gigantic success of the Pokémon Go trend this Summer, and noted the impact this can have on driving footfall; but did we forget that this is just the start of the Augmented Reality journey that could be the answer to bringing our high streets back to life? Augment Reality and Virtual Reality may sound like big ideas requiring big technology, but this isn’t necessarily the case. Put simply, Augment Reality and Virtual Reality help to enhance “real” experiences by showing the customer what’s possible with product options such as colour, without having the physical items to hand. There are already some free software options available today such as Blippar, that can help you experiment with AR. So how are big retailers putting Augmented Reality and Virtual Reality into practice to raise brand awareness and improve customer experience? The possible uses for this technology are endless. From custom jewellery, to furniture, to clothing, the idea or personalisation can be applied to any physical product. Nike’s website lets the customer build their own trainer design from various options of colour, embroidery, type of base design and so on, and each element is added as the customer clicks through the options. Inspired by Pokemon Go, this year London shopping centre Covent Garden will be encouraging more visitors with 8 virtual reindeer to find, and an associated daily competition for anyone finding all the reindeer. Visitors can also point the app at the centre’s 50ft Christmas tree to make parcels appear, and can scan tags in selected shops to see magazine articles featuring the gifts. The John Lewis Christmas adverts have been eagerly awaited every year and are famed for their heart-warming stories and big budgets. This year’s advert features animal bouncing on a trampoline, so at the company’s flagship store customers can bounce on a real trampoline whilst wearing a VR headset to be joined by the bouncing animals from the advert. Audi UK showrooms use virtual reality headsets for customers to take a test drive as the passenger of an Audi TT. Harrods have created an interactive Christmas window. In 2015, House of Fraser’s shoppable window encouraged 10,000 app downloads, which is plenty of proof that customers are ready and willing to take time to interact with retailers through the use of VR/AR. 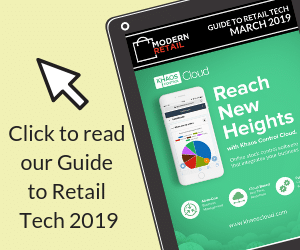 How far the technology goes is uncertain, but there are many exciting possibilities for retailers to be bold and experiment with Augmented Reality and Virtual Reality technology.